The Burnap Cottage (1898) was the oldest building in the Village until the Schoolhouse arrived. It was built on Woodring Point on land homesteaded by Sam Woodring. In the early 1900s, a minister by the name of Gatewood used the cottage to hold Sunday services. Upon Sam’s death, Hiram Burnap purchased the cottage and used it as a fishing retreat in the winter. Nellie and James Brewster bought the cottage and added a second story. 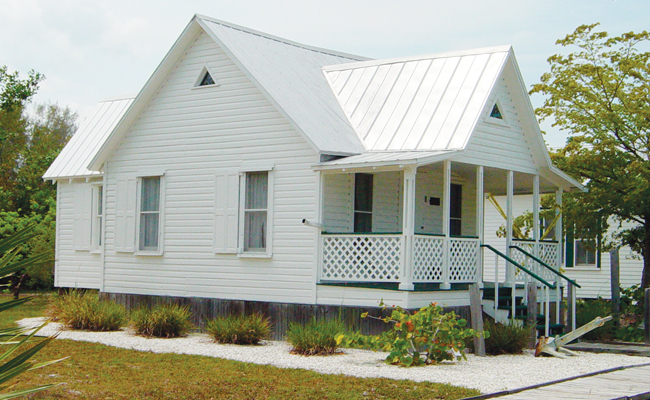 In 1998, the building was donated to the village and restored to its original state. Some say a ghost still haunts the building.